More about Lapuan Kankurit Poro Black / White Tea Towel Inspired by the Poro, this Lapuan Kankurit Poro Tea Towels brings together rustic themes with an elegant finish. 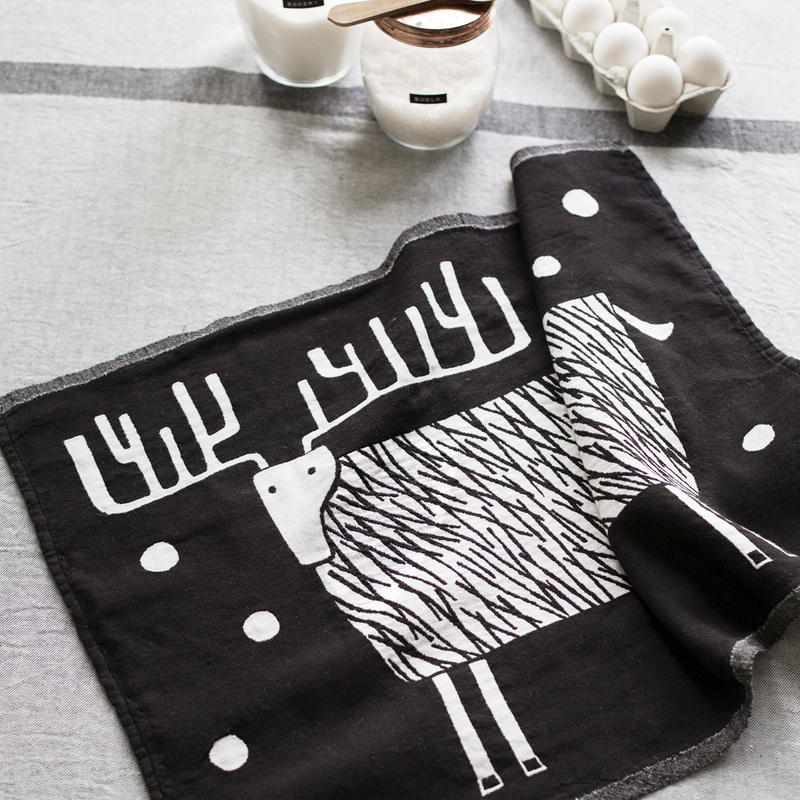 The white caribou against a dark black background creates a luxurious feel, paired with the other Poro tea towels and you will be ready for the holidays. 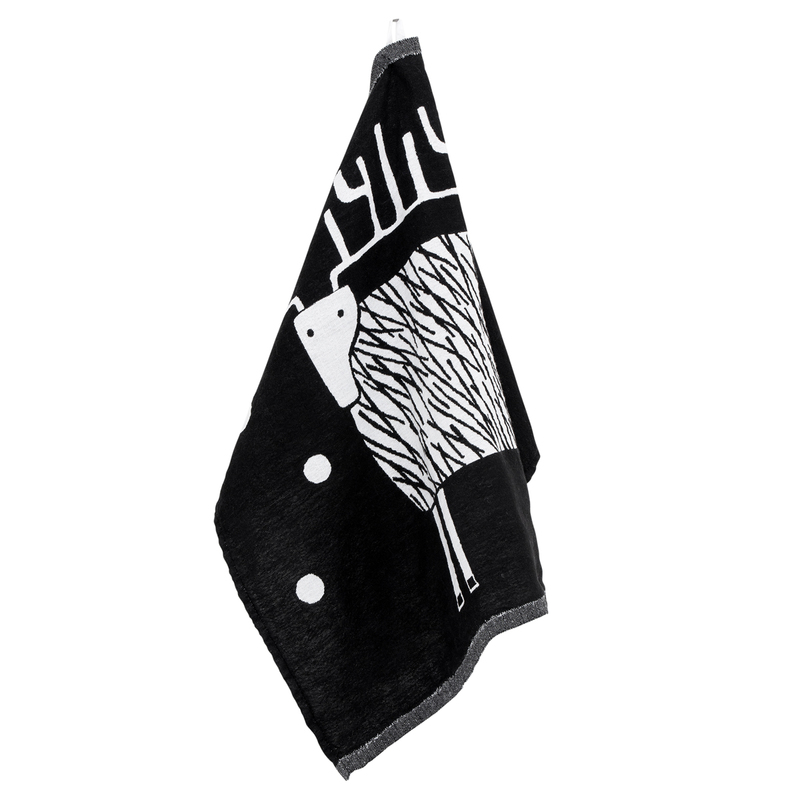 The Poro tea towels are made with organic and high-quality cotton-linen blends that are the perfect element in your kitchen from décor, to keeping fresh pastries warm, and to drying dishes. In fact, Lapuan Kankurit is the only Scandinavian weaving mill qualified to use the European 'Master of Linen' logo on its products because of the fine materials and refined skill put into each product. Love the design. Perfect thickness for drying dishes. So happy it has a loop for hanging to dry.